“I don’t think it’s unfortunate at all, Paige. You don’t need to edit something old. You need to write an original. See, just like that I came up with an O word for you. Original. You can thank me later.” Giving me a wink, Jon turned back to his book. Five minutes passed in silence. Nothing but the sounds of my vigorous typing as I feverishly tried to catch up on my A to Z Challenge Blogposts. 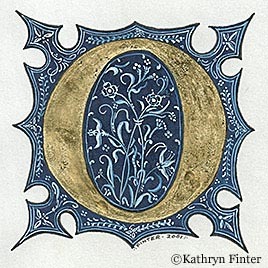 I should have been working on my blog post for the letter P (for which I already had a great topic idea), but instead I was working to get N posted, all the while worrying over what to write for the letter O. “What, exactly, do you mean by ‘I can thank you later?’ And who said I am going to write about the word original anyway?” I realized I probably sounded annoyed. Well it was with good reason. I was annoyed. Not at Jon or his suggestion, but rather because I was behind and stressed. My week had been crazy, and my overloaded schedule left me feeling like I would never catch up. I rolled my eyes in mock agitation. Truthfully, it wasn’t a bad idea. It just wasn’t my idea. And besides, at the moment, his enthusiasm rubbed me wrong, in an overwhelming sort of way. With a sudden realization, I recognized my mood was actually rooted in several O words: overwhelmed, overloaded and even old. I felt tired, unable to go on. Participating in this challenge was stretching me to include writing as a daily task, and yet I wasn’t dropping any of my other responsibilities as wife, mother and homemaker. Now I found myself at the end of a busier than normal week. It seemed I had come to the end of my abilities. I had nothing more to give. As far as I was concerned, the challenge was over, right here at the letter O. Almost two thousand years ago, on another Friday, everything seemed to be over to a group of eleven scared men. Their teacher crucified. Placed in a tomb. A massive stone rolled to cover to the entrance to His grave. But it wasn’t over, at least not like what those disciples imagined. Through his death on the cross, Jesus overcame sin and death. His work finished, not by His death, but by His willingness to take the punishment for the sins of the world. A way was made for man to be reconciled with God. And with His Resurrection on that first Easter Sunday morning, nothing would ever be the same again. The proof is not just in the stone that was rolled away, but also in the millions of lives which have been changed by faith. Ask any true follower of Christ, and they will testify to the hope and power found in the Resurrected Son of God, Jesus Christ, to overcome this life of sin and sorrow in exchange for a peace and joy like they have never known. Some days it feels like everything is over, like a terrible, black Friday in my soul. But, praise God, it’s not over. Sunday’s on the way! on a blessed Good Friday nearly two thousand years ago. Outstanding post!! Happy Easter to you and your family!